AshleyNewell.me: EtsyInspired #14 - Dragonfly Fine Designs Winner! EtsyInspired #14 - Dragonfly Fine Designs Winner! Hooray for Jacquie! Random.Brady picked your name this week to be the EtsyInspired winner! Look at these super cute flowers! I love all the texture and dimension! Jacquie, please contact me with your info and what color lollipop you'd like and I will get that info over to the shop! 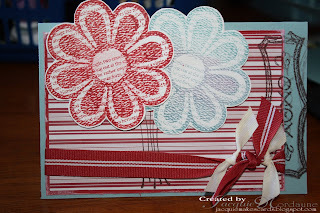 A big thank you to Dragonfly Fine Designs for her sweet giveaway this week! Yay! Thanks Brady!! I sent you an email Ashley, thanks!